Actually, he is offering the spiritual technology that releases love, which is our natural style. David goes on to say: “Learn how to transcend the limited ego and move into a present-moment awareness of reality and the joy that it brings to you and to your world.” I might add that the present-moment awareness is central to Mindfulness Meditation practice (mentioned in earlier posts)! I would add that recently my beginning studies of A Course In Miracles (ACIM for short) also offered the same perspectives as David has voiced. Furthermore, author, Marianne Williamson is quoted by David here: “ Love. . .is our ultimate reality and our purpose on earth. To be consciously aware of it, to experience love in ourselves and others, is the meaning of life.” Elsewhere, she says: “A miracle is a shift in perception from fear to love.” It is inspiring to me to read other authors who echo some of the sentiments in my previous posts. I do not apologize for not taking this plunge in my blog-posts. I know that I feared, that a reader might misinterpret my intent, talking about “spiritual matters,” but that has been shifted to self-forgiving and love, a feature of my sense of being On-Purpose. I would love to hear from readers of this post, who perhaps took the plunge with me and my risky writing. Speaking of risky writing, I can only imagine two American Psychologists, who dared to transcribe ACIM and publish through The Foundation of Inner Peace, in June, 1976. If you are surprised at this remark, consider the field of Social Science (including Psychology), finding out the Psychologists would publish what seemed “unscientific” in those days. Yet, in recent years, we have science and spirituality blended by the Institute of Noetic Sciences in California! I find it amusing that you had to pussyfoot your way through 200 pages before you introduced spiritual notions. This is understandable given a large prejudice in the scientific community toward views of a created designed universe.The Richard Dawkins travelling road show suggests that scientists are far too sophisticated to accept such primitive notions all the while presuming to speak for all scientists which it would seem he does not. I assume this same schism exists in the pychological field and hence the challenge to bridge that schism in current thinking and popular imagination. Keep on keeping on Paul ! Oh Scientific Method, which art in text books; Hallowed be thy name. Give us this day, our subjects run and forgive us our type 2 errors, as we forgive false positives. And lead us not into speculation but deliver us into the Journals. For thine is the t-test, and the F -test and the KY Square, forever! 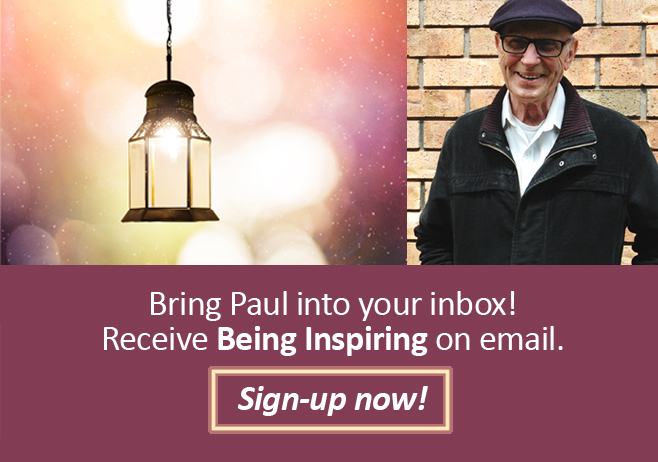 Love your risky writing, Paul : ) Your posts resonate deep & inspiring truths. Thank you for your risks & plunges. They serve us all through inspiration, guidance, remembrance, and example. Blessings, always.